Also changed the barrel girth to be "less bottle like" however this is a draft version and given new to max I am i felt the model has a certain charm. Can you give us a picture of what it is supoused to be? 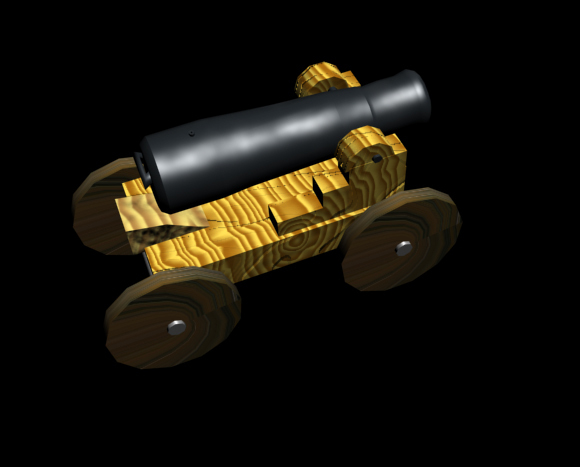 It doesn't look like the classical naval cannons. the rope will be added as picture to a plane object. Due to the comments I did try and see if this model could be salvaged by the texture. Please feel free to suggest further improvements and or fixes.